Well, we’ve made it this far, and today feels a bit like the ‘deep breath before the plunge’, to quote from a famous Tolkien trilogy. Two legs against third-placed Reading, and one place at Wembley up for grabs. You don’t need me to tell you that the stakes don’t really get much higher than this. Reading are a funny side. Their away record in the league against top sides is absolutely woeful, and yet their home record is excellent. Occasionally they ship large amounts of goals on the road, and then the next week will produce a ‘steel curtain’ 1-0 win against a similar calibre of opposition, so it’s hard to know what to expect. What is doubtful is a repeat of anything close to what we saw in December at the Cottage, where a dazzling display gave Fulham a 5-0 win against their playoff rivals. 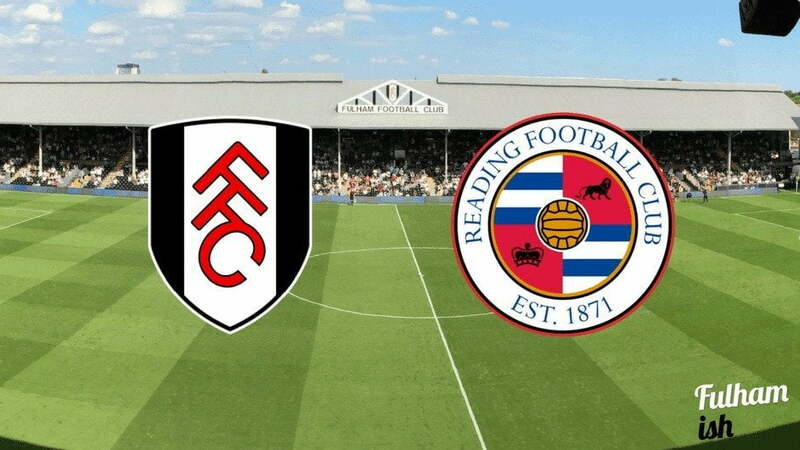 What is likely is that Reading will come out to attempt to shut Fulham down, and bring up their home leg very much in the tie – their record at the Madejski is quite exceptional, and they will fancy their chances at home. There’s undoubtedly a huge array of talent in their ranks, and Stam has proved himself to be quite the shrewd tactician at this level. He’s not perfect, by any stretch of the imagination, but nor is anyone; and the heights he has guided his team to, ignoring the criticism from all comers, is quite the achievement. John Swift was a clever buy from Chelsea, an explosive midfielder with an eye for goal. Yann ‘Form is temporary, class is’ Kermogant has, as we’ve mentioned, an extraordinary knack for putting away an incredible percentage of his difficult chances – headers, tight angle shots, long range efforts. It doesn’t take much for Reading to do something special, and although they have a reputation as playing ‘dull’ football, this is often due to the fact that they’re happy to defend a lead. There are, of course, areas to exploit. The central defensive options, whilst wealthy in experience, lack a yard of pace, something Fulham should be looking to play on with Cairney’s slide rule passing and a plethora of speed in the ranks. As such, the debate whether to play the rotating front three or to utilise the physical attributes of Chris Martin, comes even more to the fore. Undoubtedly, both sides will be up for this, and have studied the other to death. It comes down to now, who can keep their heads in the fires of the competition, and ultimately, who has the temperament to make their ability count the most, where it matters. YOU CAN LISTEN TO OUR FULL ‘FULHAMISH EXTRA’ EPISODE, DEDICATED TO THE FIRST LEG, RIGHT HERE. The debate for who starts up front rumbles on and on. Farrell puts Martin ahead of Kebano, but I’m plumping for the interchanging front three to really do some damage to Reading’s back four, who are somewhat lacking on the pace front, especially club stalwart Paul McShane. Odoi is perhaps unlucky not to retain his place after a lovely performance down the right at Wednesday, but it would be unfair to deny Ryan Fredericks another go at Jordan Obita, who we hope is still having nightmares about his day at the Cottage prior to Christmas. Malone has secured the left back spot ahead of Sessegnon after another good performance at Hillsborough, and the rest of the team picks itself. The little ex-Chelsea midfielder has been dynamite for Reading in the middle of the park this season, and his contributions to the team have been slightly overlooked outside of the Berkshire camp this season. Described as the team’s ‘star player’ by Reading Technical Director Brian Tevreden, his eye for unlocking a defence and also for a long-range stunner has been a huge part of all things good about Reading this season. We can’t say anything that hasn’t been said about TC. If Fulham are to follow this dream to it’s end, it’s imperative that the commanding No 10 is at the top of his game, where he can be virtually unplayable. Cairney has become Fulham’s talisman, the jewel in Jokanovic’s crown, and if he can win the battle of the playmakers, it should be a Whites victory that we are all celebrating come Saturday evening. Scores for this have ranged, from my own 4-1 (hopeful) to Farrell’s miserly one goal advantage. We all agreed that we hate clean sheets, so we’re going to plump for Sammy’s middle of the road 3-1 scoreline. Don’t forget to listen to Monday’s episode of Fulhamish for all the reaction to this game and a build-up to the second leg the day after.